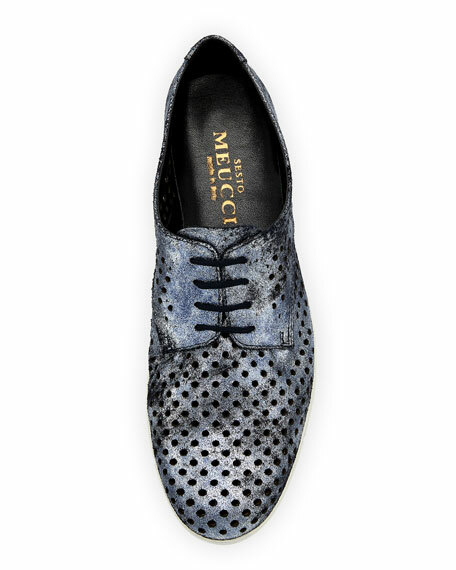 Sesto Meucci perforated metallic leather sneaker. 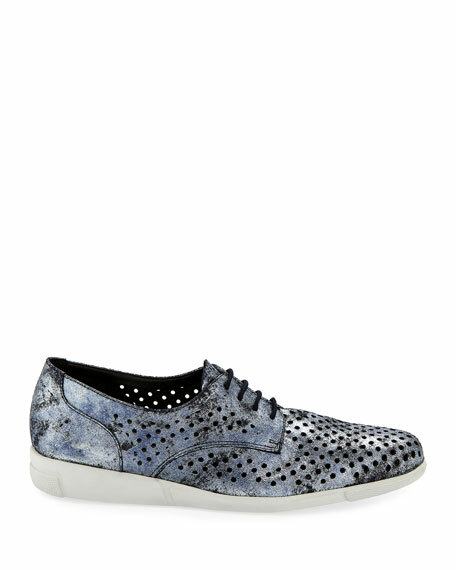 1" flat heel with slight platform. "Dira" is made in Italy.